The Inogen One portable oxygen concentrator is allowing people to finally regain their independence. It is often a crushing blow to a person’s self esteem when they realize that they need to have oxygen therapy. For them, this means having to stay home and be constantly connected to a machine. 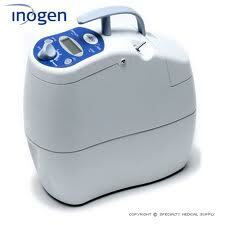 But with the introduction of the Inogen One, people are no longer limited to conducting oxygen therapy in their homes. They now have the freedom to travel as they please without worry. When people undergo oxygen therapy, as with many other kinds of therapy, a positive attitude is critical. When people are confined to certain places for therapy, keeping a positive attitude can be difficult. With the Inogen One portable oxygen concentrator, people no longer have to stay in their homes for therapy. This lightweight device can be transported anywhere with ease. The people behind the Inogen One wanted to make life as easy as possible for people who need medical oxygen concentrators, so they eliminated the need for oxygen tanks. The Inogen One converts the air around you into useable oxygen. This way, you don’t have to carry oxygen tanks, and you will always have as much oxygen as you need. If you’re looking for something that is a little lighter than the Inogen One, try the Inogen One G2. It is lighter and smaller than the original, and it converts more oxygen and has a longer battery life. This enables you to travel as much as you want without worry. The Inogen One portable oxygen concentrator allows every person who uses it to have the independence and the freedom they once enjoyed. The Inogen One can be used while it is stationary as well as during travel, during the day and during the night. Whenever you need it, it is there for you. Our price: $4995.00 "Please click here to get discount coupon for this item"